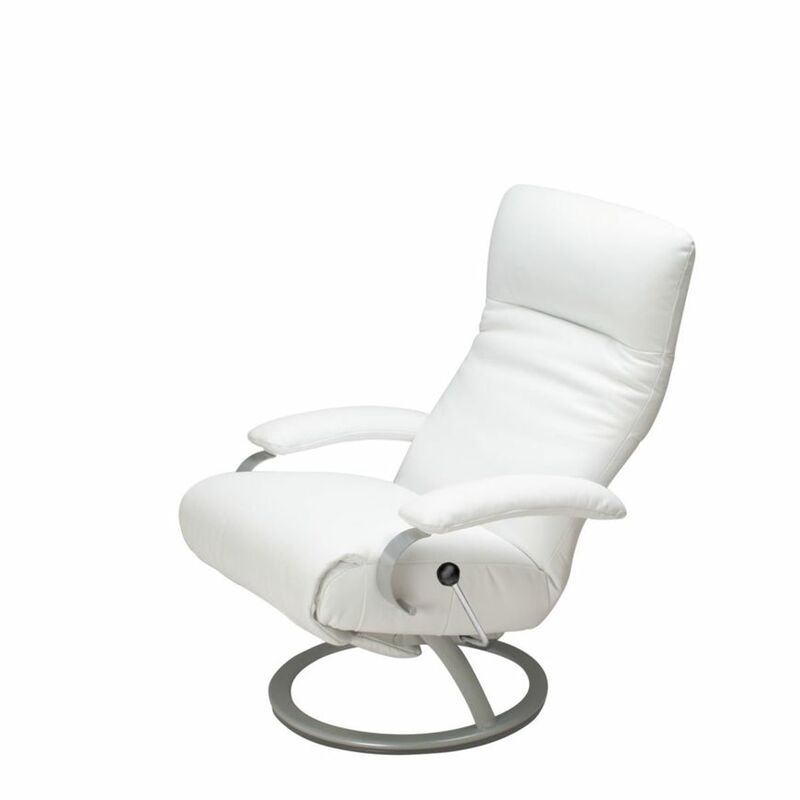 The KIRI Recliner from Brazilian manufacturer LAFER features sophisticated mechanisms to ensure a modern look with plenty of comfort. 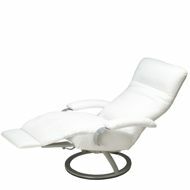 The exclusive hidden footrest device allows independent activation, from fully reclined up to the upright position. The backrest and the headrest can both be adjusted independently, allowing for numerous positions to ensure you get the right position for you. 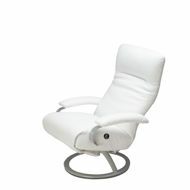 Even the armrests slide and move to follow the body movement when in motion. 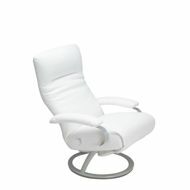 The 360 degree swivel base is an added bonus to an already functional chair. The various independent adjustments this chair can do all come together in unison to offer a customizable comfort that is perfect for you.